Andrew Scheer is now the new Conservative Party Of Canada (CPC) is the new leader. He was elected on Saturday night. Mr. Scheer, a Member Of Parliament (MP) for Saskatchewan. He got enough check marks in the ballot box to ensure a victory over his rival Maxime Bernier during a convention in Toronto. Scheer was also the youngest MP to be a House Speaker. 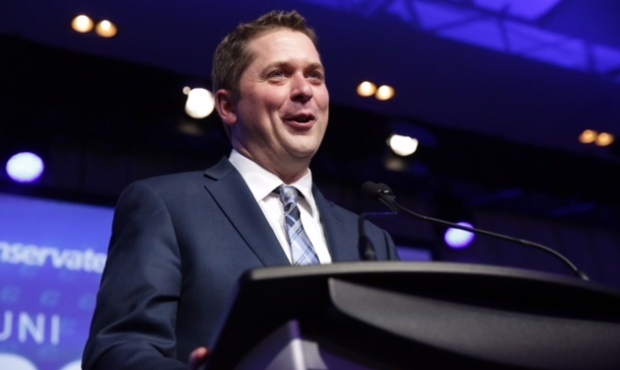 He is only 38 years of age and made a promise to bring the conservative party together, and of course to win against the Liberals in the 2019 election. Scheer won by a margin of just less than a single percentage point. However, this was odd considering Bernier was considered a strong runner throughout the long race that lasted a year. His victory speech consisted of promises to keep the to the party’s roots and help Canadian families and not “Ottawa insiders.” He also mentioned that Canada can not handle four more years of Justin Trudeau and the fights for returning as the official power after an election starts now. "There is renewed hope for Canada, starting today," he said. "The pain and hardship the Trudeau Liberals are causing Canadians is just temporary." Mr. Scheer also thanked his family, team of volunteers and interim leader Rona Ambrose. He even gave a shoutout to his rival Bernier. Scheer even thanked the former Prime Minister Stephen Harper. He especially gave thanks to his recently deceased mother who’s death made him suspend his campaign temporarily. Andrew Scheer criticized the Liberal carbon tax by calling it a “cash grab” and even went as far as to say that the Liberals are more consumed by photo ops and selfies than they are with creating prosperity with struggling Canadians. Sunny ways won't pay the bills," he said. Scheer who seems to want to cover deep issues that man conservatives feel passionate about like freedom of speech. He voted against a bill for rights transgender Canadians and M-103, a motion to condemn Islamophobia, was asked if he would allow caucus members to bring forward bills on abortion or related to abortion. "Each and every kind of conservative plays an important role," he said. "The leader's role is to find common ground among all those types of conservatives." A Liberal MP, Adam Vaughan, criticized Andrew Scheer for his pledge to withdraw funding from Universities that limit Freedom Of Speech on campus. The Liberal MP called it an attack on academic freedom. “That is the antithesis of this country” in remarks after Scheer's news conference. Justin Trudeau who is the Prime Minister of Canada even said that he looks forward to talking with scheer soon. "I want to congratulate Andrew for his success, congratulate everyone who was part of what was a strong, democratic process," he said while visiting Amatrice, a tiny town devastated by an earthquake last August. "I look forward to talking with Andrew later today or tomorrow to congratulate him and look forward to working with everyone who sits in the House, but obviously today is a day for reflecting for how Canada stands together across all parties and all backgrounds with our Canadian friends." There was also a short tribute to interim leader Rona Ambrose, who is set to leave federal politics this year. Hundreds of thousands of people voted by either mailing in their ballots, going in person, or at one of the many polling stations across the country.